The Fiery Angel on Saturday Night At The Opera! Elektra, Lady Macbeth, and Isolde are the roles one would normally associate with the term "vocally punishing." 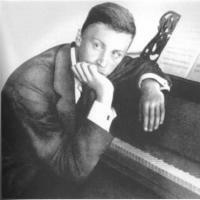 None of these, however, compare to Renate in Sergei Prokofiev's masterpiece, The Fiery Angel. Tune in to Saturday Night At The Opera on Saturday March 14th to hear this little known opera in its first Russian studio recording. Neeme Järvi conducts a cast that includes a young Bryn Terfel, Kurt Moll, and a fearless Nadine Secunde. Stepan Atamian hosts.